Numerous books compiling town, county, and church vital records have been published over the years—and they are increasingly being digitized. You can search about 150,000 of these digitized books through the FamilySearch Books collection. Among the books you can search include digitized genealogies, family histories, county and local histories, genealogy periodicals, gazetteers, and school yearbooks. Start Broadly. It’s usually best to start your search broadly, then narrow if you get too many results. Having too narrow of a search to begin with could make you miss out on relevant resources. Try Different Search Terms. You can enter any word or phrase as a search term. 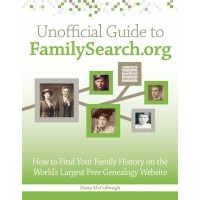 Try searching for a surname only, or a surname and a location where an ancestor lived to find genealogies. Experiment with spelling variations of surnames. Search for a location to find local and country histories. Additionally, try putting both the first and last name in one search field, or search on just the surname. Use Wildcards. The same wildcards that work for searching Historical Records collections work for Family History Books. An asterisk (*) will replace multiple characters, and a question mark (?) will replace a single character. For example, a search for the surname John*n finds publications with the name Johnson, Johnsen, and Johnston. Refine Search Results. Currently, there are limited ways to refine your search results, but as FamilySearch.org and its searching capabilities evolve, that could change. To the left of the search results, you’ll see a column with several options for refining your search. Click the down arrow next to a category to check the appropriate boxes to narrow your search.